Clementi has lots of good food. Besides the newly opened Clementi Mall, there is also the popular Clementi Food Centre and various coffee shops. I recently had Tze Char at Ban Tong Seafood restaurant at Clementi ave 5, which is a few minutes walk from the train station. 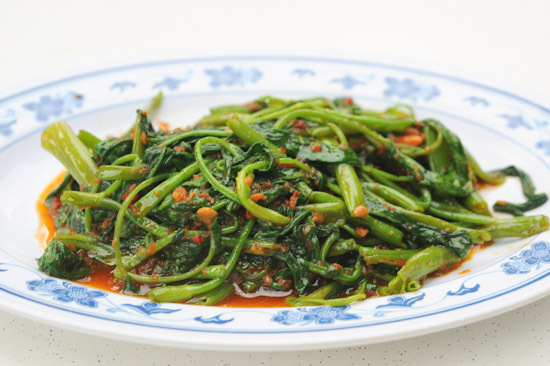 The food is generally good, and prices are what you’d expect from a typical tze char place. We shared five dishes between the four of us, and we were so full after finishing everything. Whilst Ban Tong Tze Char did a good job with its Prawn Paste Chicken (Har Cheong Kai), my favourite is still the one from Holland Village XO Fish-head Bee Hoon. 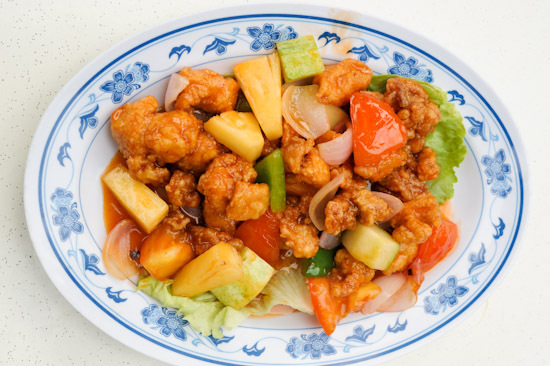 There was a slight twist to the ubiquitous Hotplate Beancurd ($10) – it was done spicy. Even though I was perspiring all the way, I loved the dish! I thought the Sweet & Sour Pork ($6) was only average. But at just six dollars for the small portion, it is certainly one of the cheapest amongst the tze char places in Singapore. The highlight of the meal at Ban Tong Seafood Restaurant is definitely the Cereal Crayfish ($16 for small). What’s there not to like about de-shelled crayfish that is generously showered with cereal? 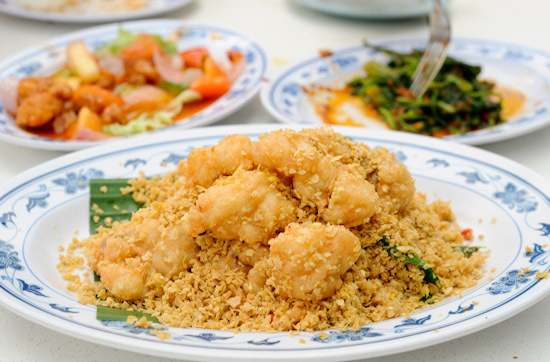 Which is your favourite Tze Char Stall in Singapore? Give me some recommendations! Geylang Lorong 9 Famous Beef Hor Fun ?? is a must try tze char store! Besides it’s famous beef hor fun with the mosttttttttt tender beef and nice gravy, the other tze char dishes are extremely good too. Prices are reasonable as well! Hiap Hoe Seafood at Blk 681 Hougang Ave 8! A lot of variety and the price is very reasonable!! not sure if this one heck of a tze char place is still under the radar.. but check out Bali Seafood now at yoHa @ Jurong. their signature pumkin prawn which strangely is not mentioned in the menu is fantastic! although i must admit my last visit recently witnessed a slight drop in standard compare to when they are located at lock road. even the prawns look a tad smaller in size now! still, the heavenly full bodied pumpkin sauce is noteworthy and beckons all tzar char lovers to give it a try! Ban Leong Wah Hoe Seafood @ Casuarina Road! They serve amazing tze char fare (especially har cheong kai & chilli crab) at reasonable prices! 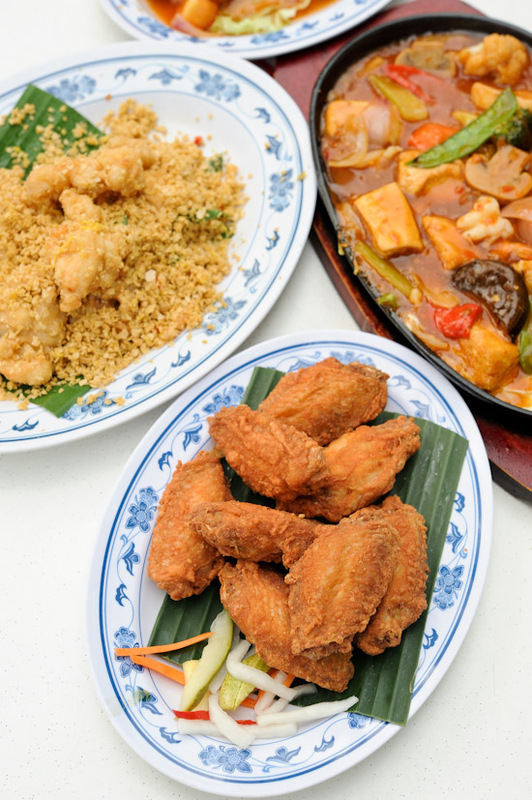 You can try Fei Shiong Restaurant @ upper bukit timah, Lorong kilat! Tmrw will be the last day, 140713! It will be leased out to some other tenant so do take note. Ban Tong no longer in Clementi Ave 5. Hope you can update their latest location.